John Zeedick/AP PhotosAmazon’s new $US15 minimum wage won’t necessarily affect delivery drivers. Amazon can effectively control thousands of delivery drivers without claiming full responsibility for their wages, benefits, and working conditions, sources say. These drivers are employed by third-party companies, called delivery service partners, or DSPs. Amazon puts these companies in charge of payroll and benefits, and the drivers won’t necessarily get Amazon’s new $US15 minimum wage. Amazon retains power over nearly every other aspect of these drivers’ jobs, according to legal filings and interviews with more than 40 delivery workers, including drivers, supervisors, owners of courier companies, and Amazon logistics managers. This system has created a confusing chain of command for drivers, which some say has led to chronic problems. Amazon said this week that it was changing how these delivery drivers are paid, following reports of missing wages and lack of overtime. This story follows an earlier investigation: Missing wages, gruelling shifts, and bottles of urine: The disturbing accounts of Amazon delivery drivers may reveal the true human cost of “free” shipping. There are thousands of drivers working full time out of Amazon facilities who deliver Amazon packages, meet daily with Amazon bosses, and, in some cases, wear Amazon uniforms. Their daily delivery routes and deadlines are set by Amazon. Amazon trains many of the drivers, provides them with on-the-road support, and gives them devices, called “rabbits,” for package scanning and route navigation. Amazon uses the rabbits to track drivers’ movements and has the power to eliminate drivers who aren’t cutting it, two former Amazon managers told Business Insider. But Amazon doesn’t pay these drivers’ wages. It also doesn’t offer them the protections, benefits, or other perks – like its new, highly touted $US15 minimum wage – afforded to its own employees. That’s because none of these drivers actually works for Amazon. The company instead employs these drivers indirectly through contracts with smaller third-party companies, called delivery service partners, or DSPs. Amazon’s DSP network is like its version of UPS and FedEx, carriers Amazon also uses to deliver its packages. Amazon puts delivery service partners in charge of drivers’ wages, insurance, health benefits, and vehicle maintenance. Amazon, meanwhile, retains power over nearly every other aspect of these drivers’ jobs, according to legal filings and interviews with more than 40 delivery workers, including drivers, supervisors, owners of courier companies, and Amazon logistics managers. For Amazon, this system of contracting delivery jobs is a cost-effective alternative to direct employment. But it has created a massively confusing chain of command for drivers, which some say has led to chronic problems with missing wages, lack of overtime, intimidation, broken delivery trucks, and gruelling shifts that have lasted as long as 15 hours without time for breaks. Amazon is at the root of the problem, this person said. Amazon said that while it doesn’t directly control wage-setting and benefits, it regularly audits its delivery service partners and requires them to abide by labour laws. In an email seen by Business Insider, Amazon told these courier companies this week that they’d have to start electronically tracking and recording employees’ hours using “time and attendance tracking” software provided by the payroll company ADP. The requirement, which takes effect November 19, followed an earlier Business Insider investigation that detailed numerous reports of missing wages and lack of overtime payments. Amazon can “turn the knobs” on delivery service partners because it has total control over the companies’ revenue, sources said. Amazon pays courier companies a set amount for each route delivered on any given day. The number of routes assigned to a company can vary weekly. Amazon managers, who work on-site at delivery stations with drivers and their supervisors, have discretion over route assignments, sources said. In some cases, this power dynamic led to free lunches, this person said. Amazon can also cut routes from underperforming companies, according to former Amazon managers and courier-company owners. The companies were in constant fear of losing routes or having their contracts cut altogether. Another manager of a courier company said, however, that the process of cutting a company could take up to a couple of weeks. Drivers employed by third-party companies are also closely controlled by Amazon, according to legal filings and interviews with Amazon employees and workers at courier companies. Two Amazon managers said they had the power to indirectly fire drivers by barring them from their delivery stations. These bans typically happened at weekly meetings between Amazon managers and courier-company managers, according to people who attended these meetings. This doesn’t equate to a direct firing, he said, because drivers barred from an Amazon delivery station could technically work for another client at another site. But this directive often ended in a firing regardless, he said. If Amazon fired a contracted driver outright, the company could be legally considered a joint employer, which could be held liable in court for labour violations. This is an important distinction. Attorneys representing Amazon-affiliated drivers across the US have argued in several lawsuits that Amazon should be considered a joint employer and therefore held liable for alleged labour violations such as missing wages, lack of overtime pay, or failure to provide breaks. 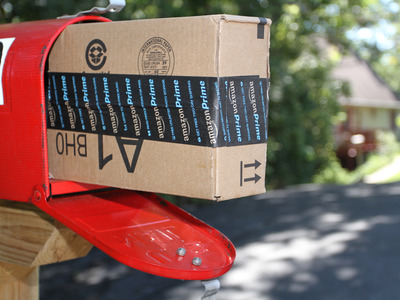 Amazon has been named as a defendant in at least six lawsuits against seven Amazon-affiliated contracted delivery companies in Pennsylvania, Illinois, California, Arizona, and Washington over the past three years. Three of the cases have been settled. Amazon did not admit fault in any of the cases.